This is Blog 6 on VMware Site Recovery Manager and vSphere Replication. This post will cover creating Protection Groups and Recovery Plans. 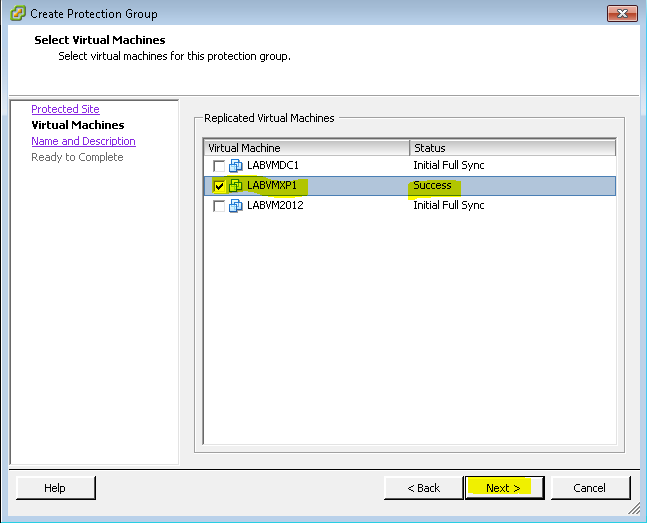 Select the Replicated VMs for the Protection Group. A VM can only be in one protection group. Login to the DR site and the VMs that are being protected will show up like the picture below. It creates a placeholder for the VMs. Select the Test Network Setting. Setting it to Auto will allow SRM to create its own “bubble” network when you decide to test. You can change it to whatever network you want. Just remember that this will bring up all protected VMs so you want to avoid allowing them access to the live network. Now the Recovery Plan will show up. You can create multiple Recovery Plans for testing Protection Groups if you choose. The Next Blog will cover VM Recovery Properties and all of the settings that you have to choose from. This is Blog 5 on VMware Site Recovery Manager and vSphere Replication. 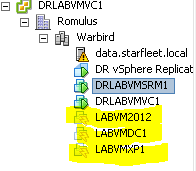 This post will cover replicating VMs with vSphere Replication. 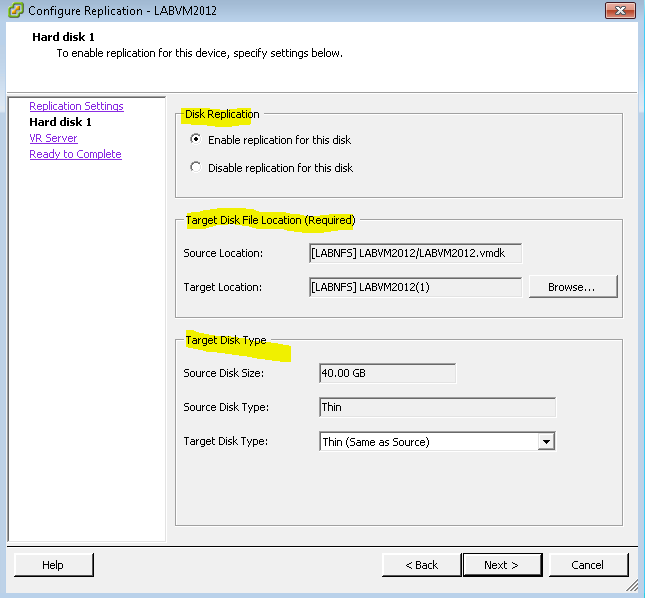 This is Blog 4 on VMware Site Recover Manager. 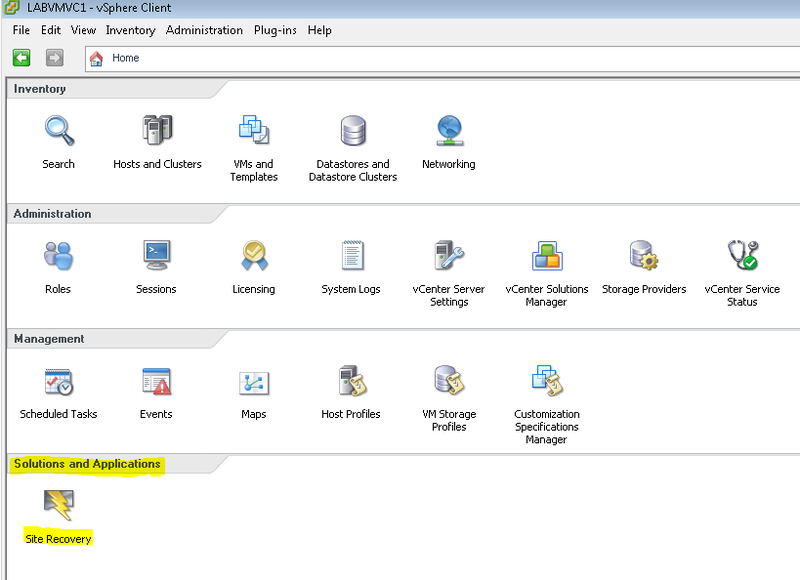 This post will cover installing vSphere Replication. At this point we have installed SRM, connected the sites and mapped all necessary resources. The location of the file will already be selected. No need to browse. Specify a Host. You are going to want to deploy multiple vSphere Virtual Appliances in the cluster. Application Setup. 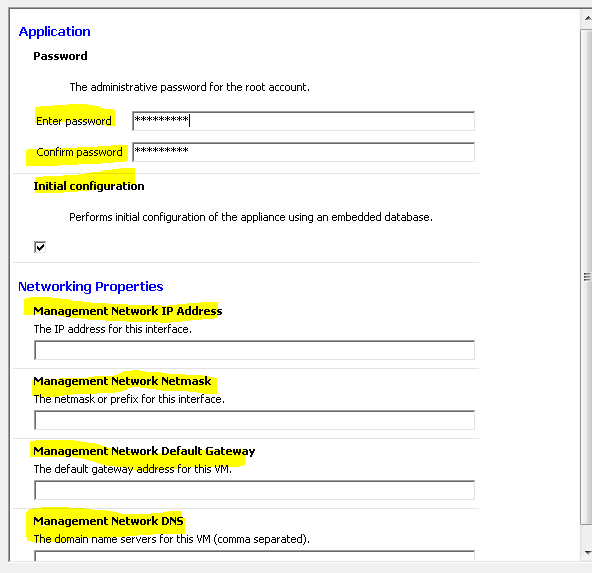 You need to setup a Root Password, Embedded Database, and Networking Properties. Configure Service Bindings. You need to bind the Appliance to vCenter Extension vService. Complete the Virtual Appliance Deployment. Once you have completed the Production side you need to go through the same process at DR before continuing. 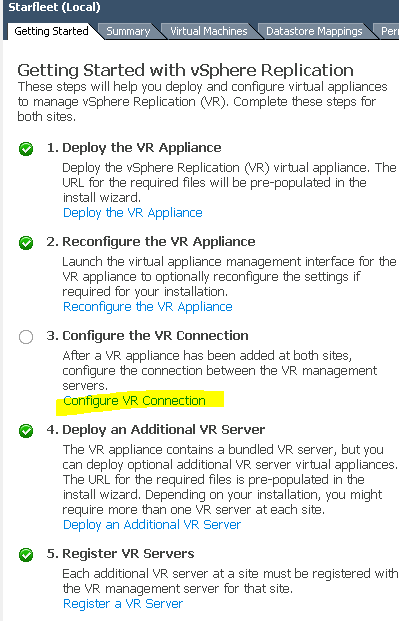 Once you have installed the Virtual Appliances at each site you need to Configure the VR Connection between the Sites. At this point vSphere Replication has been installed and you are ready to start protecting your VMs. The next blog will cover how to begin the Replication Process.